Verrucae are a caused by the HPV virus. Everyone is regularly exposed to the virus, but it only tends to infect the skin when it is able to enter the body via a cut, scratch or crack in your skin or when your skin is very soggy and prune like as it is after a long bath or swimming. Verrucae are often painless, only giving discomfort if they’re in a position where they’re pinched or rubbed by footwear. Verrucae are often characterised by a cauliflower type texture, instead of the usual, smooth texture of your skin. 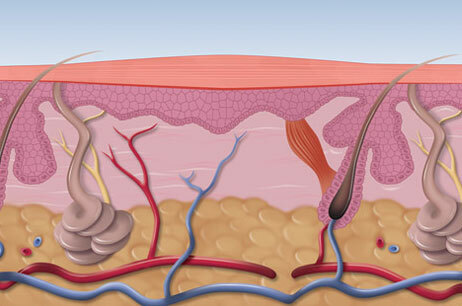 Read more about verrucae causes, symptoms and diagnosis. There are several treatments available for verrucae but they usually require frequent, multiple visits to your podiatrist. It can sometimes take months. Microwaves have been in clinical use for over 30 years, and are used globally in the effective treatment of some cancers. 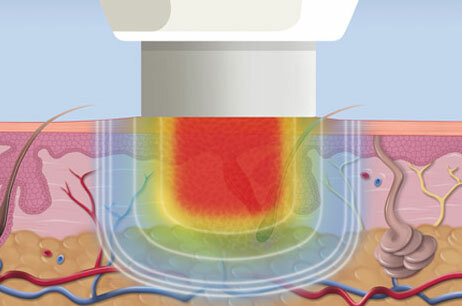 Now for the first time this technology has been applied for use on skin lesions such as verrucae. Swift delivers a precise, highly controlled energy dose. As microwaves travel into the tissue, water molecules begin colliding and creating localised heat energy. This creates localised “thermal shock” to the infected tissue which results in the release of the specific proteins necessary for the immune system to recognise the verrucae virus and begin the process of eradicating it. Here at Footfriend we are very closely involved with the continuing development of this treatment for verrucae. We have been following the latest research and advice from the researchers to get the best outcomes for our patients. We have discovered that in addition to being highly effective and needing very few treatment appointments that the process does take a bit of time to go from having verrucae to complete resolution of the infected skin. This is because it takes time for the immune system to attack the virus and for new skin to regenerate. This is a normal part of the treatment process. This process can take a bit longer the older you are and also if you have had your verrucae for a very long time. With your patience, our treatment and guidance, most verrucae will be eradicated. requires very little aftercare – no dressings to change or keep dry. 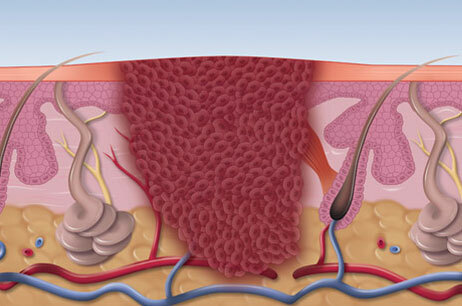 requires fewer appointments for stubborn lesions, than traditional treatments. enables you to get on with your everyday life with no special measure needed between appointments. Pain from your verrucae rapidly goes. If you want your verrucae treated you will first need a consultation to assess your lesion and your suitability to having treatment for your verrucae. If Swift Microwave Therapy is determined to be the most appropriate method for treating your verrucae we can begin treatment immediately. Microwave Therapy Treatments: £100.00 per treatment as necessary. We firstly may need to remove some of the dead surface verrucae tissue. Once debrided the verrucae is treated with Swift Microwave Therapy. This is a quick process. After the therapy there is no need for dressings and no need to keep your foot dry. You will need to return for assessment and further applications of Swift Microwave Therapy as guided by your podiatrist. We’re taking bookings for Swift Microwave Therapy now. Based in the scenic, market town of Beverley in East Yorkshire, we are receiving patients from all over Yorkshire and the North of England for this excellent, new treatment. Call us on: 01482 868448, email, or click the button below to arrange your assessment.